It has often been a matter of great regret to me that, in all the years that I have been married and from circumstances have been living so much among the leading men of the day, it had never occurred to me to keep a journal. I have constantly heard so many things it would be interesting to remember, the greater part of which, from their succeeding each other so rapidly, I have already forgotten. I have now determined to conquer my natural laziness & make it a rule from this time forth to write down all that occurs to me, or that I hear of in public affairs that is interesting to me. I begin with the reign of George the 4th, the 1st of February, 1820. Thus begins The Journal of Mrs. Arbuthnot, one of the most extraordinary documents we have on the internal dynamics of elite politics in the early 19th century; and not the least part of its extraordinariness lies in the fact that, in this male-dominated political world, the author was a woman. Harriet Arbuthnot was born on 10 September 1793, the youngest daughter of Henry Fane and his wife Mary of Fulbeck Hall, Lincolnshire. It was a large, well-off, well-connected family and Harriet emerged from her childhood as a confident, intelligent and accomplished young woman. 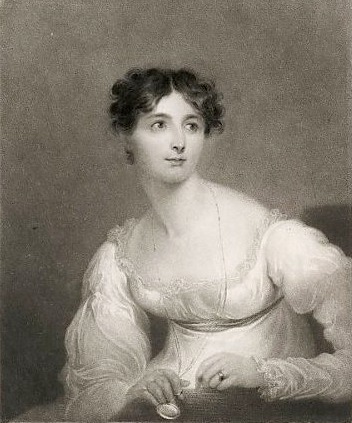 In 1814, at the age of 20, Harriet married Charles Arbuthnot, a 46-year-old widower with four children and so began a marriage that catapulted her into what she called ‘the vortex of politics’. At the time of his marriage to Harriet, Charles was one of the joint secretaries of the Treasury in the administration of the then Prime Minister, Lord Liverpool. This role, which was centrally concerned with the distribution of patronage (the allocation of crown appointments as a means of shoring up support for the ministry) meant he occupied one of the most important and influential offices in the government. Through her marriage to Charles, therefore, Harriet gained access to the inner workings of government and the leading men of the day. Moreover, it is clear from the detail in her journal, and her passionate commitment to the Tory side of the ideological divide in early nineteenth-century politics, that Harriet was obsessed with politics and the great game of who was in and who was out, whose star was in the ascendant and whose on the wane. There is a dramatic, almost novelistic element to her journal, replete as it is with heroes and villains. Chief among the heroes was Arthur Wellesley, the Duke of Wellington, who, especially after the suicide of the Marquess of Londonderry, the Foreign Secretary, in 1822, became the most significant political figure in her journal. Wellington, ‘whom every English person ought to worship’, became an extremely close confidant of the Arbuthnots and spent a great deal of time with them both in London and in the country. Mr. Arbuthnot & I have been greatly annoyed by another anonymous letter accusing me of being in love with the Duke of Wellington, of being always in holes and corners with him, & of being so jealous of him that I never can bear him to speak to any other woman! Luckily my dear husband & I live upon terms of such affection & confidence that these base insinuations have only the effect of making us abhor the wicked feelings which could prompt anyone to write such a letter. Pious as this may sound it actually represents the truth; the friendship between Harriet and the Duke of Wellington was profoundly important to each of them but platonic. Indeed, after Harriet’s untimely death, Arbuthnot actually went to live with the Duke at Apsley House, hardly the act of a grieving cuckold. To those who, like me, think there is a good deal in blood, it may appear that Mr. Canning’s want of principle or high & honorable [sic] feeling may be derived from the stock he sprung from, while all must admire the institutions of a country where talent & genius can force their possessor into power & opulence in spite of the most adverse circumstances. So opposed to Canning was she that in the protracted discussions about who would be the new Prime Minister, after Lord Liverpool suffered an incapacitating stroke in early 1827, she wrote: ‘I wd almost rather see the Duke die than in a Cabinet of which Mr. Canning was the head’. For Harriet Arbuthnot there could be no more serious statement of disapproval. When Wellington and the Tories left office in 1830 Harriet’s sources of information about the inner workings of government dried up and she wrote less and less in her journal and eventually appears to have lost interest in it altogether. Her last entry for 17 January 1832 breaks off in mid-sentence, never to be resumed. In one of her final entries she wrote, with typical partisanship and unconscious irony, that ‘[w]e have got the cholera at Sunderland. I think it a far inferior evil to the Reform Bill.’ Harriet succumbed to cholera herself, dying on 2 August 1834. Focussing on Harriet Arbuthnot’s attitudes to Wellington and Canning has allowed us to draw out some of the key features of her running commentary on high politics in the 1820s. As a diarist she was passionate, obsessed, charming, snobbish, generous, insightful, serious, loving, and hateful but we should be careful not to dismiss her diary as mere gossip. For even at her most gossipy, Mrs Arbuthnot’s entries inform us about her and others’ hopes, fears and expectations. Moreover, when so much political interaction was personally conducted in face-to-face meetings that went un-minuted, she gives us access to the thoughts and actions of politicians that, without her diary, could have been lost forever. Her journal demonstrates how woman in the ruling elite could and did play a serious and significant role in party politics despite the constraints imposed by gender roles and the lack of the franchise. Copyright Dr Stephen Lee. This article was produced as part of the No10 Guest Historian series, coordinated by History & Policy.